Kiitos! Thank You! | Bloomington Symphony Orchestra (BSO)| A community orchestra located near the Twin Cities in Bloomington, Minnesota| Musicians | Concert Performances | Classical Music Kiitos! Thank You! 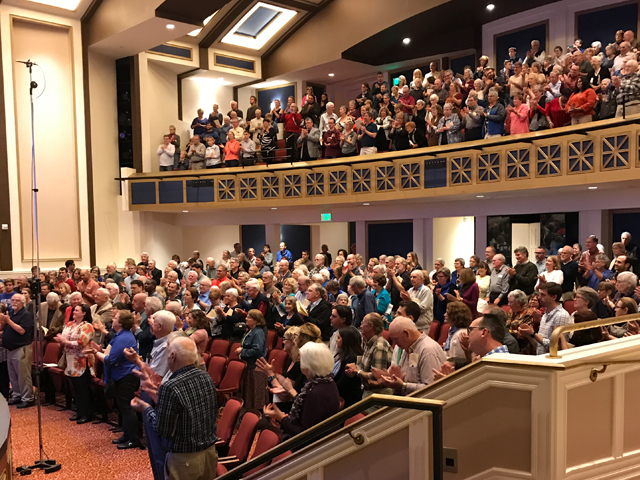 Thank you to all who attended the sold-out Bloomington Symphony Orchestra and Suomi Finland 100 Chorus concert at the Masonic Heritage Center on October 8! If you are planning to attend future Bloomington Symphony Orchestra concerts, we urge you to order your tickets in advance to avoid disappointment on the day of the concert! For the November concert, call the Artistry Box Office at 962-563-8575 or click here. For the February and April concerts, call the Masonic Heritage Center Box Office at 952-948-6506 or click here.